Cook Time with Remmi – a Thanksgiving Feast! 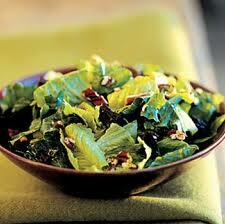 Prepare lettuces as directed and place on medium platter. Add the walnuts, onions and seeds. Mix dressing in jar and pour on salad when ready to serve. Note: To remove the seeds, cut the pomegranate in half and soak in cold water. The seeds will be easy to remove. Slice cornbread into large croutons. Place on baking sheet and put in 350 degree oven for 15 minutes until crispy. In medium pan heat the olive oil and sauté onions and celery for 3 minutes. Add apples and cranberries to the pan and sauté for 3 more minutes. Add salt pepper, thyme, and chicken broth and simmer for 10 minutes. 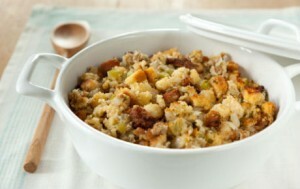 In a large mixing bowl, add croutons, cooked sausage, and sauté mixture and mix until moistened. Place dressing mixture in a large casserole dish, cover with foil and bake at 350 degrees for 30 minutes. Prepare sprouts as directed and place in medium bowl. Toss the sprouts with vinegar, 2T olive oil and salt and pepper. Place on baking sheet and put in preheated 375 degree oven. After 10 minutes turn over the sprouts and bake the remaining minutes. In small pan toast the pine nuts. 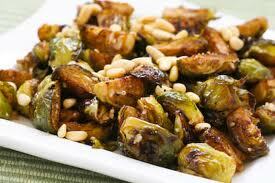 Sprinkle nuts on top of the sprouts and serve. Directions: Prepare vegetables as directed. In a large pan sauté onions and celery in the oil for 3 minutes. Add the flour and gradually add the chicken broth. Bring to a boil and then turn to simmer. Add carrots, turkey, tomatoes, curry powder, apple and salt and pepper. Simmer until the carrots are tender. 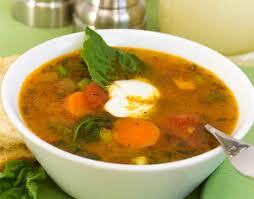 Serve with parsley and yogurt as a garnish. of the 102 passengers that sailed to America on the Mayflower in 1620, only 53 survived the harsh first winter? 78% of women died, 50% men, 36% boys, and 18% of the girls. pomegranates are rich in antioxidants? 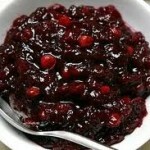 the first canned cranberry sauce was done by “Cape Cod Cranberry Company” in 1912? brussels sprouts are very powerful in preventing cancer? there are 8 US Presidents that are known descendants of Mayflower passengers? in 1976, the governor of Massachusetts, Mike Dukakis, declared an “Adoption Week” in his state to place focus on children in foster care? That same year, President Ford made a proclamation for “National Adoption Week”. pomegranates are one of the oldest fruits in existence and go back as far as 100 B.C? 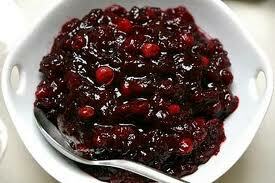 it takes approximately 440 cranberries to make one pound, and it takes 4400 berries to make a gallon of juice? 55% of turkeys served on Thanksgiving will be stuffed? 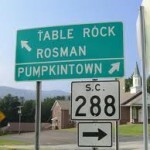 there are towns named “Pumpkintown”(5 of them), “Pumpkin” (2 of them), “Cranberry” (3 of them), “Turkey”(6 of them) and, “Pilgrim” (4 of them) named towns and cities in America? 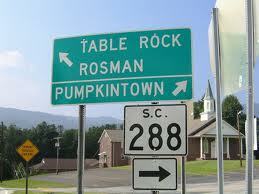 There is only 1 named “Thanksgiving” and that is in Maryland. I hope you enjoy my recipes. Don’t forget to eat a pickle on the 14th! 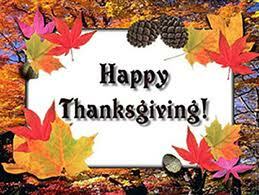 Hope you have a very happy holiday on Thanksgiving.